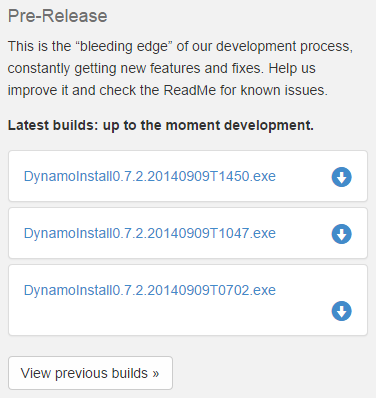 Revit Add-Ons: Catching Up with Dynamo: New Release, New Pre-Releases, New Website! 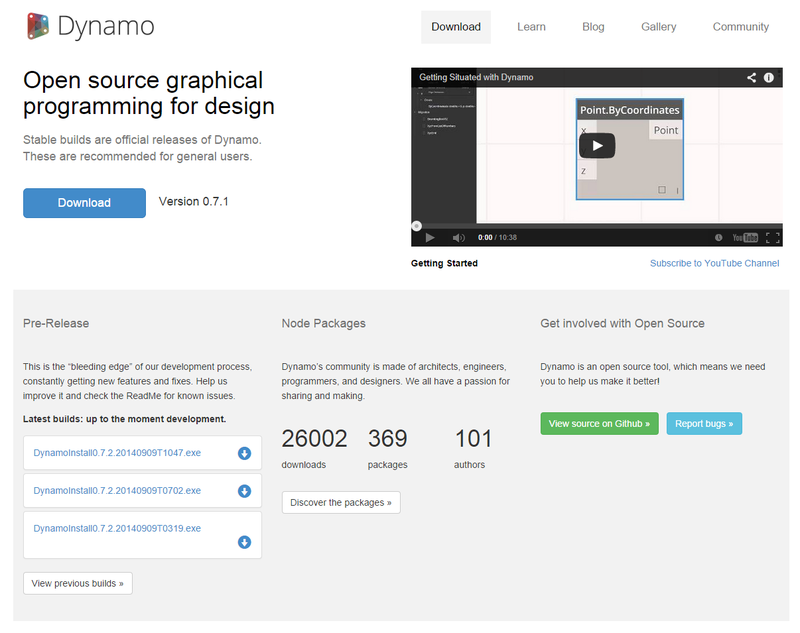 Catching Up with Dynamo: New Release, New Pre-Releases, New Website! 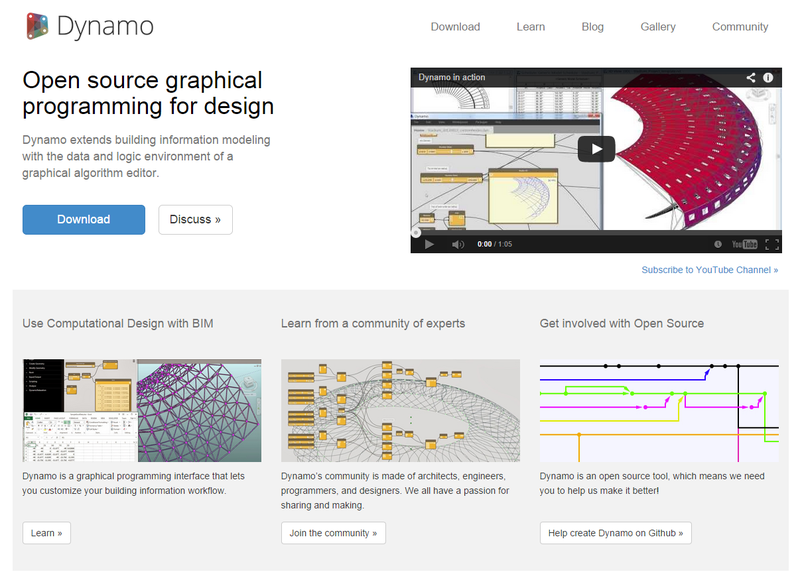 There have been a couple of new releases in 2014, and Dynamo has moved from the Vasari website to it's own site, dynamobim.org. 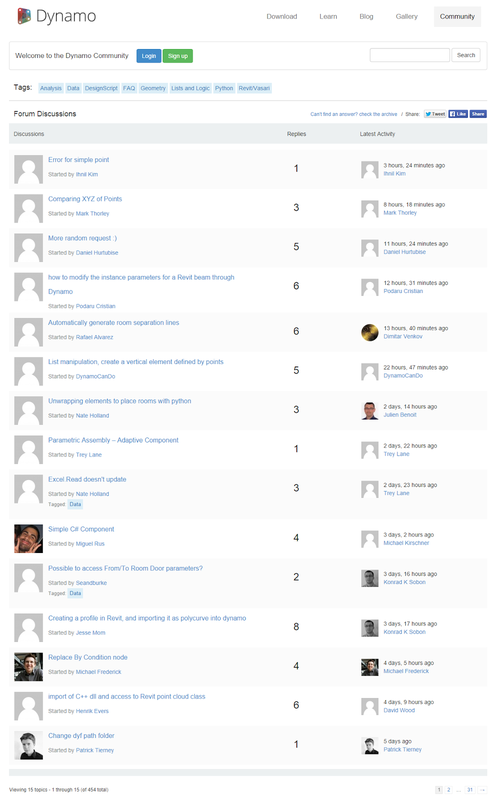 It's a good looking site, clean and modern, with easy access to release and pre-release downloads, blog posts, community forums and more. This is certainly the most professional, most well-organized and well-documented open source development effort for the A/E/C industry that I've seen. On the release front, there have been 2 releases since I last posted about Dynamo late last year, 0.6.3 on 4/3/14 and 0.7.1 on 7/18/14. Additionally, there are a series of 0.7.2 pre-release builds available for download. As of this writing, there were four builds available with todays date. That's extreme! Following are details from the last two stable releases, excerpted from the Dynamo website. 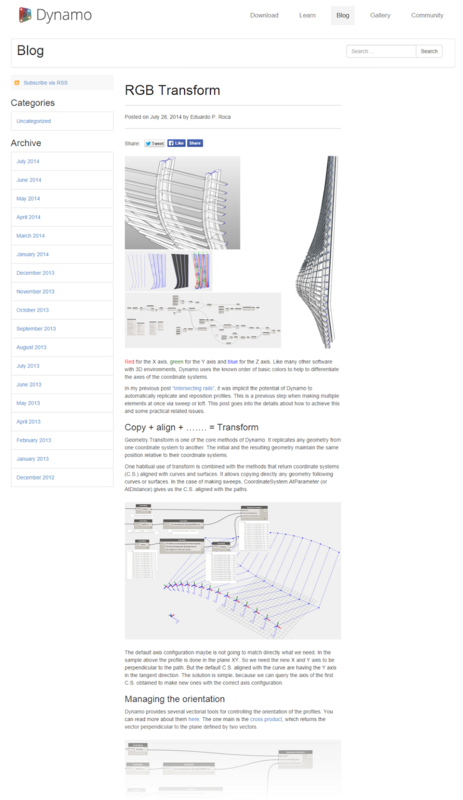 The shift from Dynamo 0.6 to 0.7 represents a significant refactoring of the original code base. The new software architecture allows for better performance, more robust geometry, sophisticated interactions between traditional scripting and visual programming, and loading of external software libraries. There is a lot that’s new. We hope you’ll love it. An incremental improvement to 0.6.2 featuring a number of stability improvements, new nodes, access to more Revit functionalities and a richer computation environment. Application level settings for Imperial and Metric Units: We hear that most of the world does not use Imperial Units, and we’d like to accommodate this. Daylighting with cloud Rendering service sample files: New analysis workflows available. You will need an Autodesk ID to use these services, but you can get access to this when you sign up for membership on this website. Add name to reference plane node. For not only kicking it up a notch but for taking it to a whole new level, the Dynamo development team, currently standing at 101 contributors according to the website, earns an Editor's Choice award. There's a lot more information available on the Dynamo website.